Finally I have some of my mojo back.....I sure miss it when it is gone. I have also had a moment to get this card created based on the sketch done by the sweet and talented Laura over at 2 Sketches 4 You this week. There is a bonus sketch by Latisha that I really hope to get a chance to create with too. 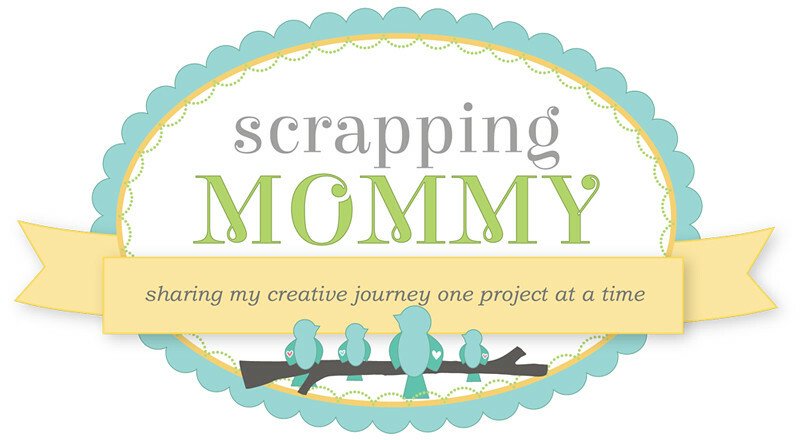 I am going to attend the Scrapbook USA Expo in Salt Lake City this weekend as well as a Cricut SWARM (where I get together with my buddies from the cricut message board and spend the whole day scrapping). I have some recipe pages that I am going to swap with some of the other attendees and I will get those posted for you soon so that you can see them too (they are sooooo cute!!). 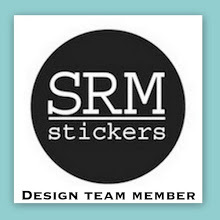 Carstock, stamps, ink: Stampin' Up! Other: Fiskars Threading Water punch, lace, sewing machine and thread. Don't forget about my blog candy giveaway HERE. 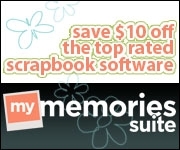 You could win a Cricut cartridge as well as some other scrapping goodies!! This is great! 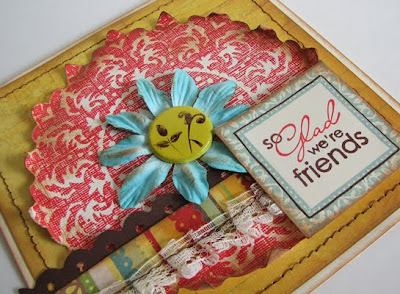 I love that medallion stamp anyways but I REALLY love what you did with it!! Great job!! Oooh, that is just gorgeous! Can't wait to see you tomorrow! Oh, Amy, this card is so beautiful! I love it! wow! this is completely gorgeous! love everything about it! wowie...gorgeous card!!! Great take on the 2s4y sketch!!! Awesome! I love this card! Wow, gorgeous! 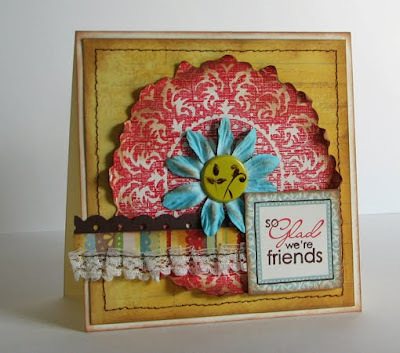 I love the colors and all the texture and dimension! Wow this is beautiful Amy! I love the bohemian look.